Join us on this exciting tour to Paris and Epernay where you will experience that magical feeling of Christmas whilst enjoying some of the finest French Cuisine and Wines. Our tour combines the best of the Paris “Christmas Markets” together with its “Night Life” and the very best of the fantastic “Habits de Lumiere” festival in the Champagne Capital, Epernay. In Paris you will experience the seasonal atmosphere of the Christmas Markets, Festive Lights, Excellent Cuisine and an evening of Fun, Food and Entertainment at the world famous “Moulin Rouge”. After an event filled time in Epernay we make our way back towards Calais and our final overnight stop at Chateau de Cocove where we will have yet another excellent group dinner in the Chateau’s gastronomic restaurant. Opportunity today for you to visit some of the most popular Christmas venues in the city. With over 15 different market options you’ll be spoilt for choice, just one prospect is the fabulous “La Magie de Noel” market located just a few minutes’ walk from the famous “Champs Elysees” festooned with its dazzling array of Christmas lights and trees. With over one hundred traders selling mostly French Produced food, wine and gifts there will be something to suit everybody’s taste. Maybe, take a ride on the “Ferris Wheel” and gaze down at the amazing illuminated Place de la Concorde below – “enjoy the atmosphere”. Enjoy a more relaxing day today and combine some traditional sightseeing interspersed with visits to some of the smaller traditional markets. 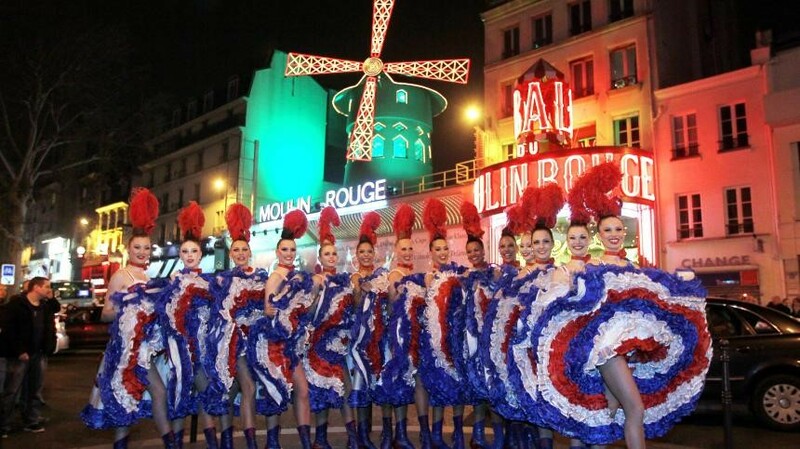 Early this evening we leave from our campsite by coach for our journey to the famous “Moulin Rouge”. The evening will begin with a Champagne Dinner & Dance followed by the Glitter and Excitement of the Revue consisting of a troupe of 80 artists including 60 “Doriss Girls”. The theatre lights go down, the curtain goes up and the entire troupe appears on the stage under the gaze of the audience…. 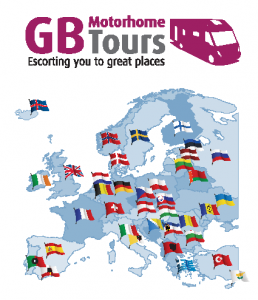 After an amazing evening we return to our campsite and motorhomes, for a good night’s sleep. Another opportunity today to visit more of the festive markets including the Marché de Noël sur le Parvis de la Défense, with over 350 decorated stalls to pass through, you will be amazed at the range of products on offer and become immersed in the “Seasonal Atmosphere”. As an alternative to the traditional Christmas Markets a visit to one of the most prestigious department stores in France – “Galeries Lafayette”, is highly recommended. This store is housed in an amazing galleried building topped with a magnificent domed roof and has a comprehensive range of products. Visit the outstanding food hall and perhaps sample some of the delights on offer. After your visit to the store you may like to visit the Musée de L’Opéra and the Palais Garnier, which are to be found adjacent to the store. A relaxing start after last night but don’t miss the Habits du Saveurs which takes place today, here you can experience the gastronomic heritage of the champagne region. This evening we get to taste some of this great food as we eat in one of the finest restaurants in Epernay, French food at its very best served with a selection of excellent wines. Our tour ends this morning. It is only a short drive back to the port at Calais for those returning home and there you will be able to make your final purchases for the festive season.